VM On Track will enable you to track the mail and packages that enters your building all the way to its final destination. 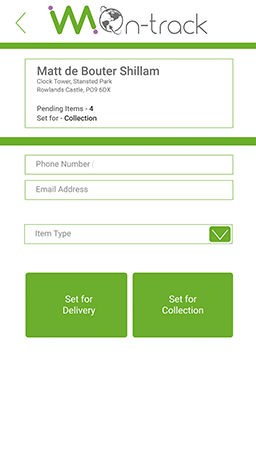 With an easy-to-use interface and recipient phone applications, it has never been easier to let people know that their parcel has been delivered and needs collection or is out for internal delivery. Using the mailroom application, simply look up the recipient by name - the name is checked via the cloud server application and a match is found. 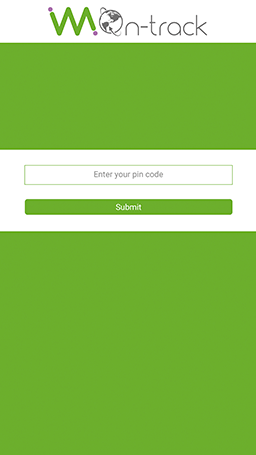 The server application will take the recognised text, match your recipient and send them out an email and a push notification to the recipient app. If you operate a collection policy, the recipient will be matched via the QR code that was sent to them via email and the recipient app. Totally Secure. 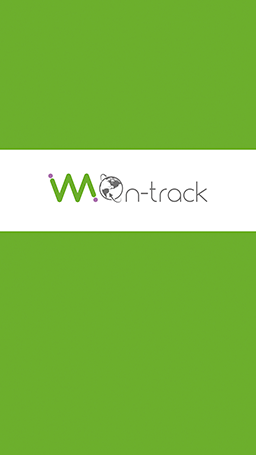 VM On Track puts you in control of your internal mail tracking. 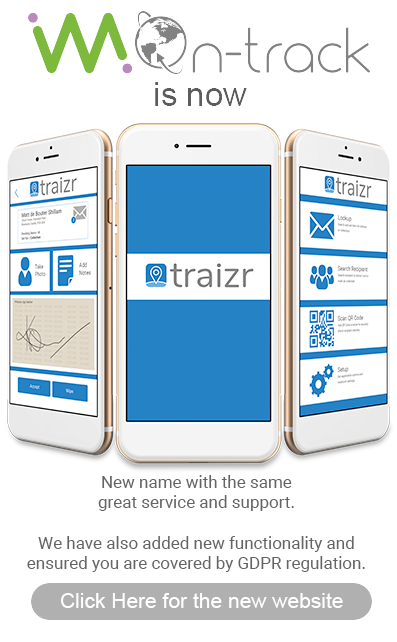 Using the mailroom application, simply look up the recipient by name - start typing and the possible recipients will automatically appear as the name is checked via the cloud server application and a match is found. 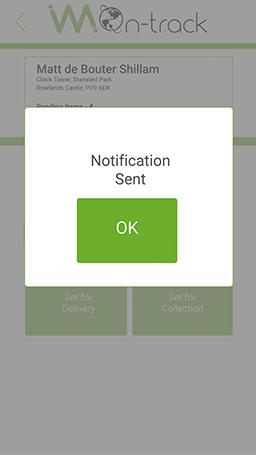 Once a successful match has been found, the recipient can be notified either via email or if they have the recipient iOS or android app installed, they will get an instant push notification. You also have the option to deliver the mail item to the recipient. 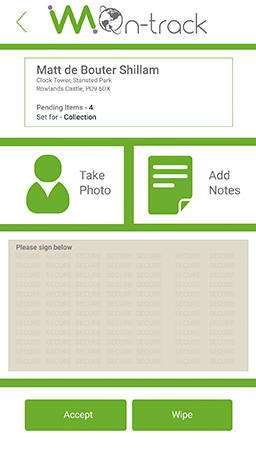 You can collect either a signature of the recipient or take a photo of the recipient or add notes to the delivery if required. The recipient will have received a QR code through the app or via email. This can then be scanned before handing over the parcel. You can even attach a photo of the recipient as a further level of security. 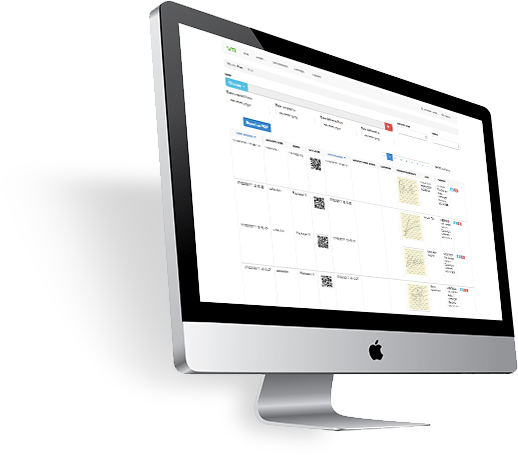 This fully cloud based solution gives you the ability to log in to the online admin interface and check the packages that are in the system. Delivery statistics and audit information can be found in the easy to use interface. 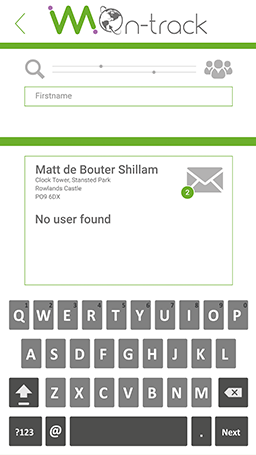 All user settings and information can be changed as neccessary and delivery reminder email text can be tailored to suit your organisation. Users/recipients can be added to the system via CSV, XLSX, XLS, XML & JSON files. We have even added simple downloadable examples for you to use. 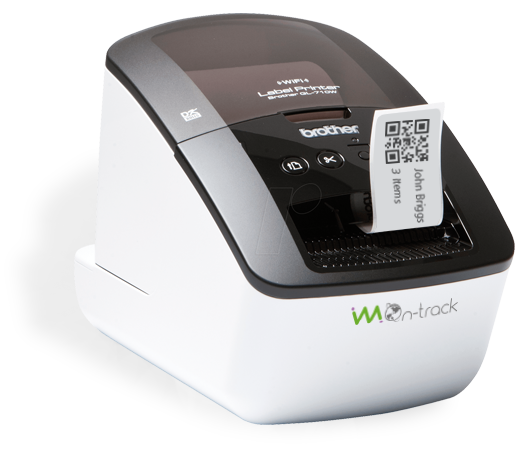 Integrate an optional label printer into your work flow to ensure that packages are labeled with a secure QR code in order to scan them out to the final recipient. The label will contain the recipient name, the tracking QR code and the amount of items to be delivered. 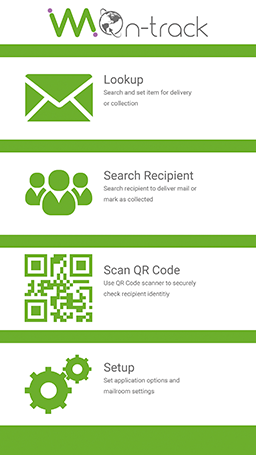 When an item is set for delivery or collection, first you can scan the QR on the package to recall the recipient and the amount of items. Take a look at the video . . .